Exchange Database file is also known as EDB file, a filename extension created by Microsoft Exchange Server. It stores in-process SMTP messages and the ACT emails using EDB file extensions, the extended digital books created with the application. In the earlier versions of Exchange, i.e. 2000 and 2003, the file is used to be saved in EDB format. But now in the newer versions, there are three formats in which EDB files are saved, these are Priv.edb, Pub.edb, and STM. These three formats were introduced to keep a proper track on the files which are being saved by the Exchange Server. Priv.edb is a database file, meant for storing private data from the mailbox, Pub.edb meant for storing data which user want to share from the mailbox. STM, i.e. Streaming database is used for saving attachments in emails, generally multi-media files. However, in Exchange 2007, the STM file format was deleted. Exchange database file is also referred as JET Blue and MAPI-based database, the reason being that it stores, extract EDB files and keeps the messages submitted by MAPI clients. 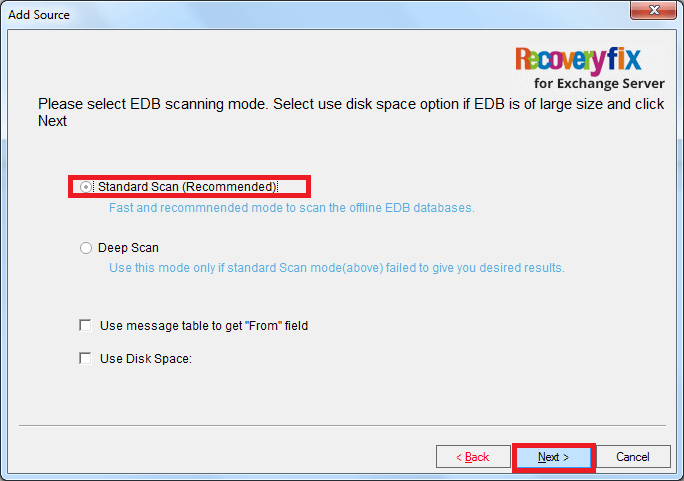 So, now we have a clear image of what is an EDB file and how important it is. What if this EDB file gets corrupt? 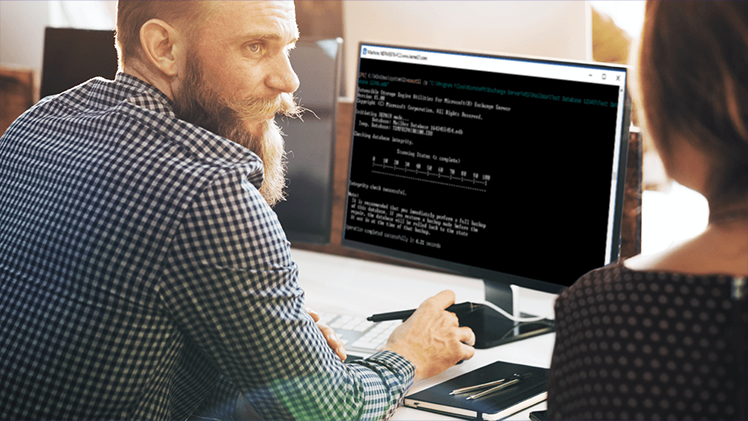 In this blog, we will discuss many aspects that lead to EDB corruption, like how to detect if the EDB file is corrupted, reasons that cause corruption, and how to repair it. The best way to find out that your Exchange Database file is corrupted is error notifications. There are different error notifications for different errors; if your Exchange Server is showing the following errors, then your EDB file is most probably corrupted. There can be several causes of the EDB file corruption, and it is always better to know the root cause behind it. Knowing the cause of the problem can help you to avoid it the next time if possible. If you are aware of the Exchange Server, then you might be knowing that Microsoft provides an inbuilt utility ESEUTIL. ESEUTIL, i.e., Exchange Server Database Utility is an executable program, it can repair corrupt EDB files. To repair the file, the command-line utilities ESEUTIL is used. The most important thing to remember after the successful completion of the repair process is to check the data integrity. You can check the integrity of the data with the help of the integrity check tool ISINTEG. Why Using Manual Method Should Be Avoided? Performing manual method requires a person with great technical skills. The manual method is a little bit complicated and critical way to repair the files, if done wrong at any step you may also lose the data. Another reason is that the manual method is quite time-consuming and requires a lot of space on disk. The data which is permanently removed from the system cannot be repaired with the manual method. 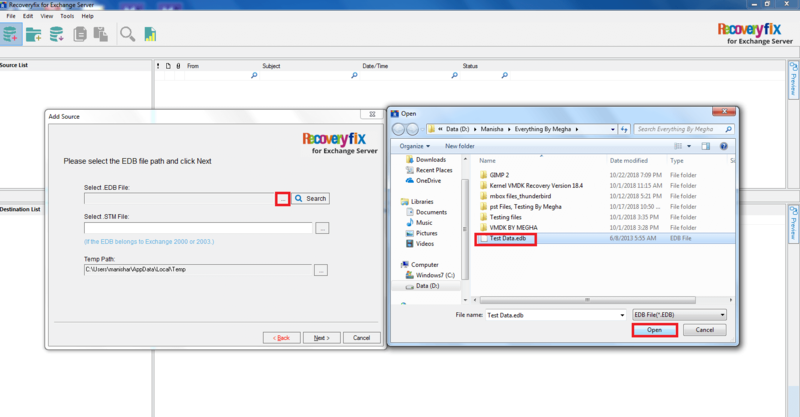 How to Repair a Corrupt EDB File with the help of Recoveryfix for Exchange Server Recovery tool? If you are facing any problem with the manual method, or by any chance, your file is still not repaired by following the manual method, then you can always go for the automated method. 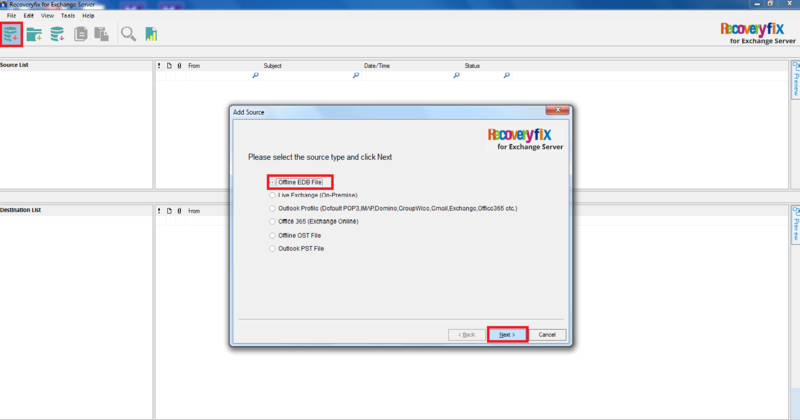 With Recoveryfix for Exchange Server Recovery software, you can forget all the hassles of repairing a corrupt EDB file, just follow a few simple steps. Let’s start! Install and run the software in the system. Click on the Select Source option, mentioned under the File button and select the source type. 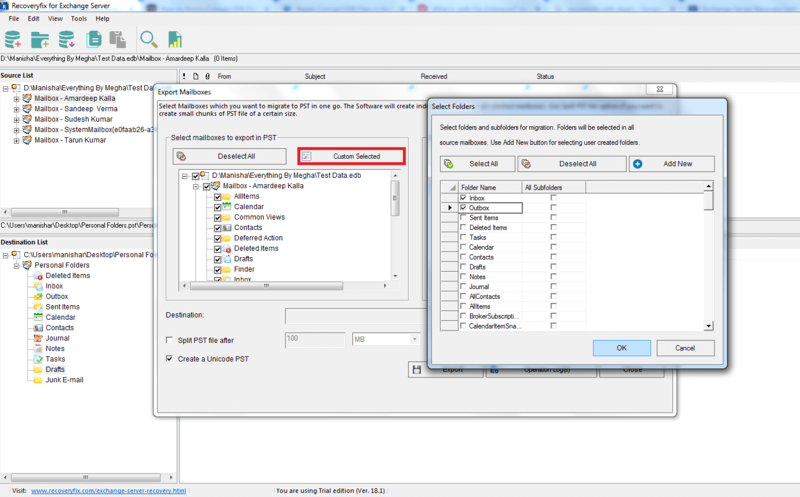 Select Offline EDB File as source and click Next. 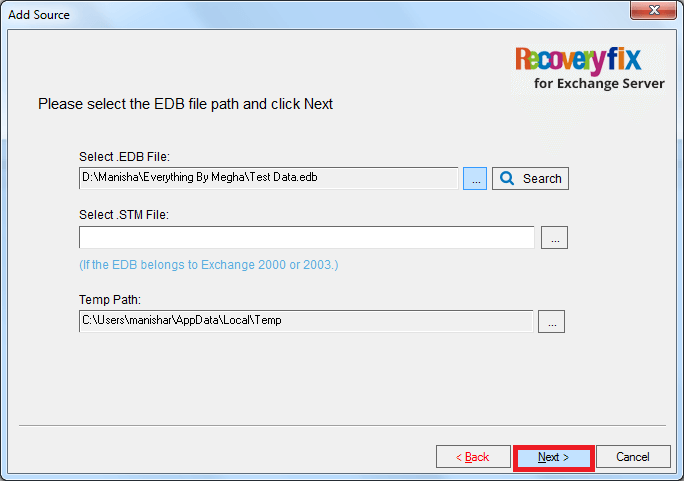 Now, you will be asked to select the path, click on the three dots in Select EDB File, select the EDB file from your system and click on Open. If your EDB belongs to the Exchange 2000 or 2003, then you can select the STM also. If not, then continue. You can also select the Temp Path for the file if you are not okay with the default one. Click Next. 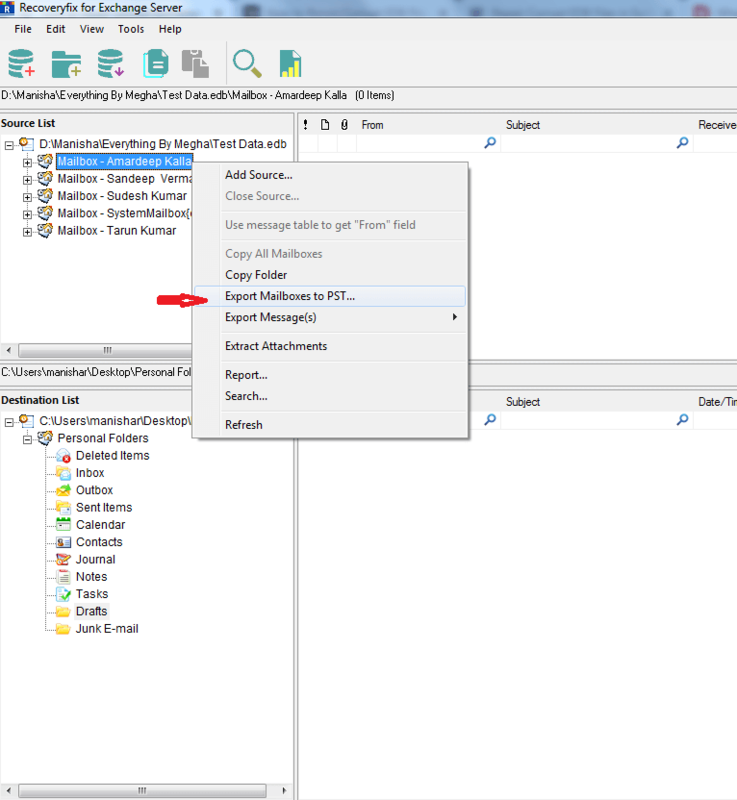 Select the scanning mode for your file and check the column “Use message table to get From field” and “Use Disk Space” as per your requirement and click Next. Wait while the process takes place and click on Finish. Now, you will see that under the Source List section, there is a list of all the user mailboxes. 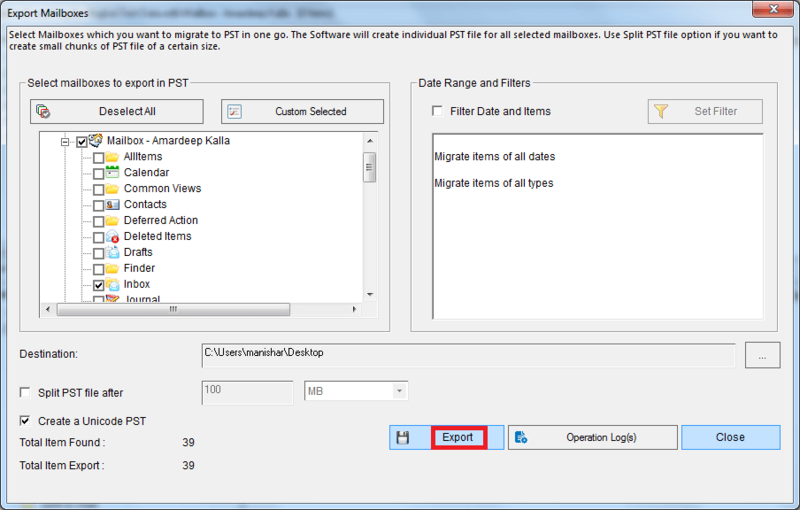 Right click on desired mailbox and select Export Mailboxes to PST. On the next window, select the files and folders you want to repair. 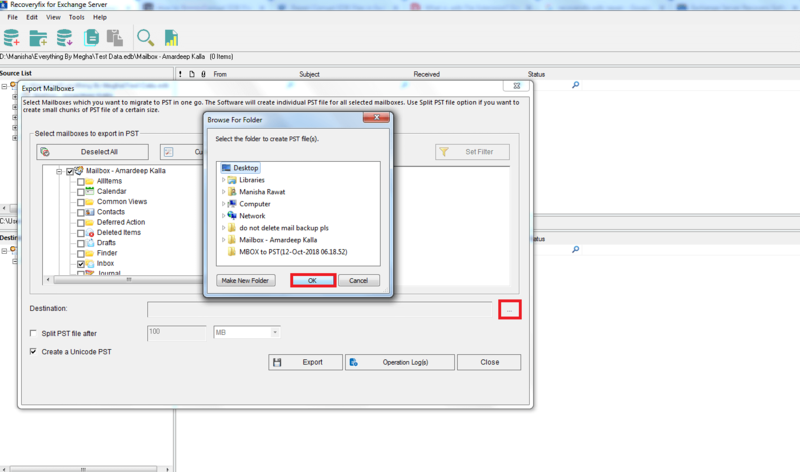 There you will see an option of Custom Select, click and select some specific folders from which you want to repair the files. You can also perform this step manually. Click on Ok in the end. On the next page, it will ask your permission for the custom select. Select your desired option and click on Apply. 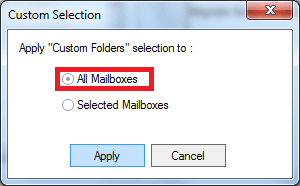 Now click on the three dots in Destination and select the destination of your file and click on Ok.
On the next window “Multiple mailboxes exported” click on the Ok. Follow these easy steps, and your EDB file is repaired in no time. There are several other options available in the software you can go for, as per your requirement. Why is Automated Method Better than the Manual One? The best part about the Automated method is that you need not be an expert tech geek to perform it. You can perform it as perfectly, even if you are from a non-technical background. Follow the simple guidelines and read the instructions mentioned in the blog carefully, that’s it. The Automated method saves your efforts and a lot of time which you would have invested. The software is designed to provide the ease of operation and to save the user from a lot of hassles. For that, there are several options available in the software which allows you to perform the task efficiently and as per your requirements. 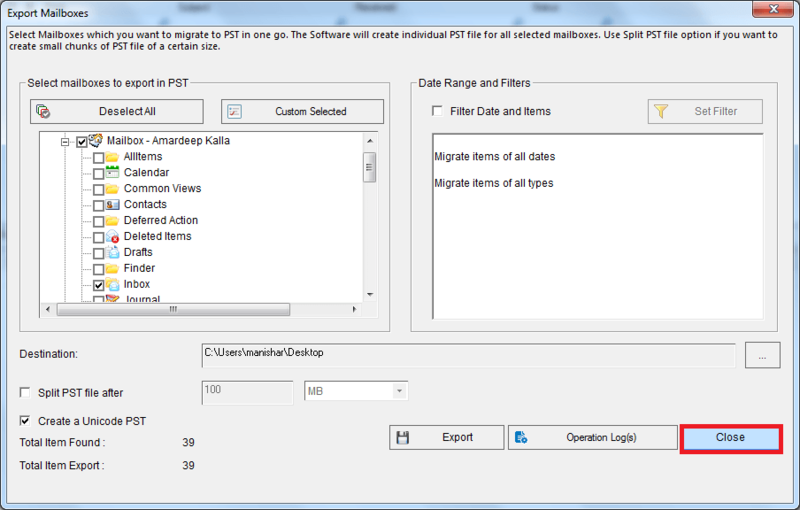 For a better understanding of the software, you can also go for the Trial version which is totally free and allows you to save 25 items per folder. EDB files are made using many B-trees. The reason for creating it with B-trees is to have quick access. 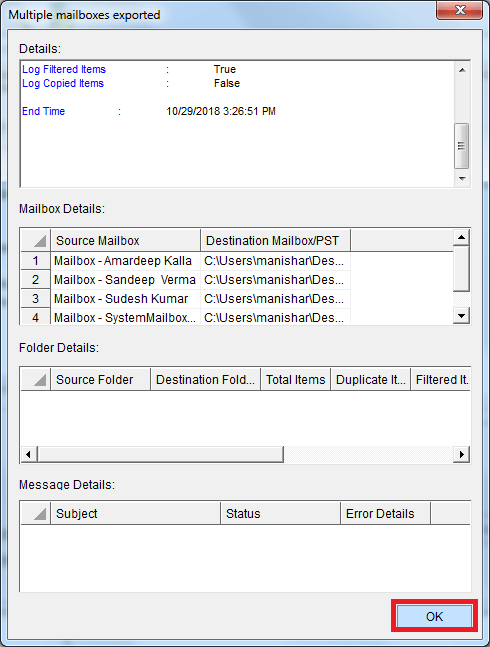 It is easier and better to Convert EDB mailbox to PST. You can repair all the errors in the exchange mailboxes, public folders, and transport server queue database with either manual or automated method. Recoveryfix for Exchange Server Recovery software is the unmatchable solution for your corrupt EDB file, with its advanced features and smooth operation it provides recovery with no headaches.